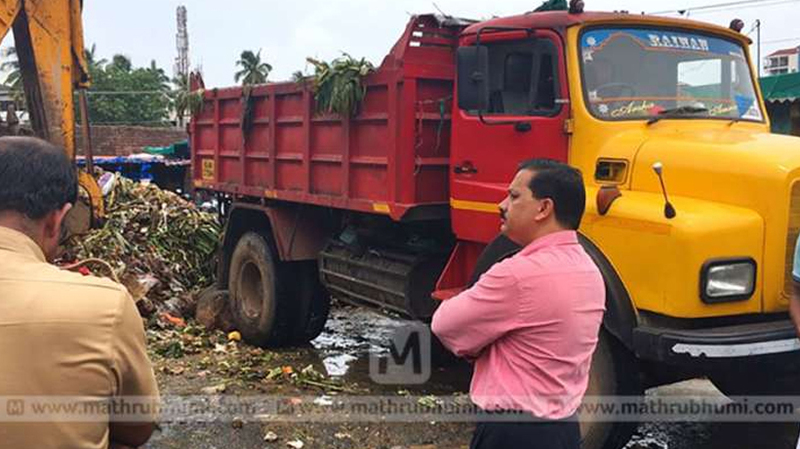 KOCHI: A subordinate judge staged a protest in a novel way by sitting in front of heap of garbage at the Ernakulam fruit market demanding its removal. A.M. Basheer, Subordinate Judge and Secretary of Ernakulam Legal Service Authority, left the place only after the garbage was removed. He was supported by the locals. “Humans cannot live here. The situation is terrible. People have submitted complaints several times. This is not an isolated issue,” he said. Blaming the Kochi Corporation for its carelessness, Basheer said several parts of Ernakulam faced the same problem. “The market has turned into a dump yard. This is a wake up call for the civic authorities. Garbage should be cleared from every part of the city. The Legal Society has identified 30 areas where waste heaps have been found,” he said and added that he would stage similar protests if the authorities failed to act. On the other hand, civic authorities said garbage was being cleared on a regular basis everywhere.